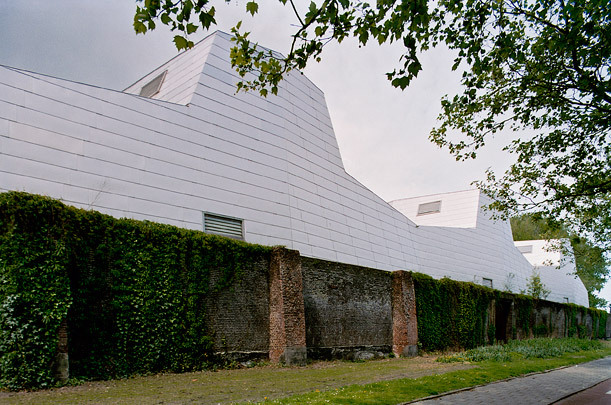 The depot of the Netherlands Maritime Museum is sited in the high-security naval grounds behind a wall. Ninety metres long, the building is dominated by three 18 metre tall humps giving it a distinctive form that rises above the wall. These humps trace the contours of the services below. Inside the sealed outer skin of titanium-clad steel are conservation studios as well as fully climate-controlled collection storage areas completely isolated from the rest and from the outer skin in their own concrete box.